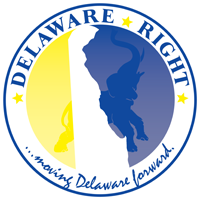 I had been waiting to allow one of the contributors over at Delaware Politics to have first shot at this post, seeing as Delaware Politics is David Anderson’s blog site, so one would think that one of the contributors would have written this post. But alas it seems as though they are just too caught up in their own lives to recognize the extreme sacrifice that their friend David recently made, not just to benefit himself, but to protect all of us. David Anderson recently returned from Afghanistan where he had been serving in his role as a Delaware National Guardsmen. He was there for a year, away from his family and friends. David has always been a person to put service before self. He is a sitting Dover City council member as well as being active in other ways in his community. He is a father and a husband who was called away from that family to help protect my family and yours. I think that we all owes David, as well as every man and women who puts on a uniform and stands a watch, a debt of gratitude that we may never be able to repay, but one we must recognize. I once was a contributor on David’s blog, we parted ways due to a difference of opinion, but I hope that we remain friends, so David on behalf of myself and those who know you best. Welcome home, and thank God you are safe, and thank you for your sacrifice. 2 Comments on "Welcome Home David Anderson"
David and I have already spoken and David, Jeanie and I had lunch together. David knows how much we value his service to his country and state. We just didn’t write a post on his service in Afghanistan. Thank you for writing it. Yes, welcome back. And we’re all glad to see, in one piece.